Who doesn’t want younger looking skin? No one enjoys seeing lines and wrinkles on their face. Just a few of the signs of aging skin that you probably want to avoid include a dull complexion, puffy and sagging eyes, wrinkles, lines, and more. The great news is that you don’t have to let your skin tell others your age. You can use a variety of excellent skincare tips to keep you looking young and beautiful. Of course, if you want to keep skin looking young, you first need to understand what causes wrinkles to occur in the first place. Often wrinkles occur because of sun exposure, genetics, the loss of fat, and reduced production of collagen and elastin. Skin gets thinner, it doesn’t produce the collagen and elastin it needs, and wrinkles begin to appear, making you look older. One of the keys to younger looking skin is to remember that prevention is definitely important. Simply using sunscreen is one of the best methods of prevention against aging skin. With the application of sunscreen, you can avoid photodamaged skin, sunburns, skin cancers, and more. You can make it easy for yourself by using moisturizers that have sunscreen in them, which makes your daily skincare routine faster and easier. Many people overlook one of the best ways to keep skin looking young and beautiful – sleep. Simply sleeping for 6-9 hours each night can help you to keep skin at its best. When you’re not getting enough sleep, the skin cells are not given the opportunity to repair themselves, which will cause skin to age even more quickly. During your sleep, the body is able to begin repairing itself, so make sure that you get plenty of sleep on a regular basis – it’s important for your skin’s health. Taking care of the eye area is especially important if you want younger looking skin. The eye area is especially sensitive and delicate. It also has less fat under the eye as well. Since there is little fat and the skin is so delicate, it is more likely to wrinkle than the rest of your body. This means that you need to take special care of your eyes. Using a special eye cream is an excellent idea, since eye creams and serums are designed especially for this area of your skin. Staying hydrated can also be helpful for keeping the eye area looking its best. Remember, your eyes can quickly age, so take special care of them to make sure you stay looking as young as possible. Some people make the mistake of simply worrying about their face when it comes to anti aging skincare. However, you should not forget about your hands and other body parts. They can betray your age as well if you don’t take care of them. Proper hydration and quality skin care products can keep the rest of your skin looking as great as your face does. Keeping your entire body looking youthful is important. 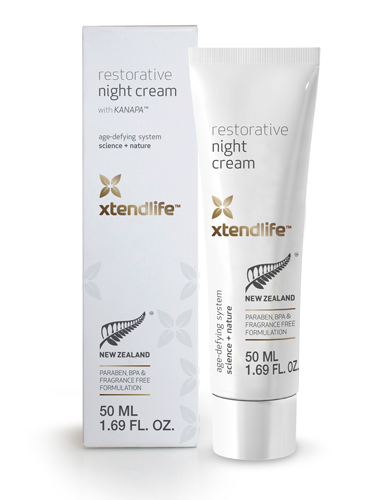 Xtend-Life Age Defying Body Lotion is a product that can help you to attain younger looking skin all over your body. Not only does this lotion help to sooth, soften, and smooth skin, but it also is known to help eliminate skin blemishes as well. Do you want radically improved skin? If so, you need a radical body lotion to combat all the causes of aging.